Just Another Once-In-A-Lifetime Experience! | Taking The World On With A Smile! Home > Family, Life, Parenting, Tattoos	> Just Another Once-In-A-Lifetime Experience! What constitutes a once-in-a-lifetime experience? I’ve been going back and forth on this for a while now, with my mom.…. …….and debated on whether or not to bring my kids. But realized, this would be a once-in-a-lifetime experience for them and me. And my rather stubborn, 74-year old mother was not going to change her position anyway. …………she was getting a tattoo! She – we, LOVE her first tat! Not only did Pepper do a fantastic job on my mom’s tattoo. Everyone at Graceland was really nice to all of us. They let my kids sit on a couch close enough to be able to watch the process and they played Irish music in the shop while Pepper was inking Nana’s shamrock. A little “shell-shocked”, they had no idea they were going to watch their Nana get a tattoo! Life is full of surprises! So maybe that will make for two “once-in-a-lifetime” experiences. We’ll see. Have you ever taken somebody to get a tattoo? Kasey! I look just as forward to your comments (and posts)!! Thanks so much! It was a thrill to be there w/ my kids and yes, I am definitely thinking about it! I’m not the least bit surprised she did this! You always have to expect the unexpected with Nana. You got that right, Veronica! She’s sooooo Nana!! If I do Rumpydog…..you can be sure I’ll blog about it! Very cool! Your Mom is one hip lady. I have three myself and each one means something. Now it’s your turn Karen! I think your right on all accounts, Karl! l love your blog, the pictures are great, Dad is not to happy about the tattoo, he will get over it. Thanks mama! And yeah….he’ll get over it…or not. 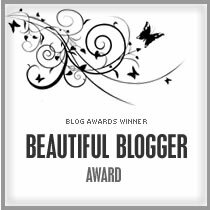 I just nominated you for the Liebster Blog Award! Check out my latest post today! http://singleworkingmomswm.wordpress.com/2011/10/05/i-did-it-kind-of/ You deserve it! WooHoo!! Thank you, SWM!! Really. Thank you. I think I do too now, Meg! Nicely done. The tattoo and the post. Great payoff in both! Such a cool family you have! Really. This made me smile. Ha! Oh, wow! how crazy is that! I’m tickled by it, really. I’ve never taken anyone to get a tat. I actually just decided that *I* want one. Weird for anyone who knows me. I used to be kind of anti-tattoo (for myself) while I admired well-done tattoos on others. Wanna take me for mine? I’d like your mom to be there too. She seems purrrr-rit-tyyyyy cool! Ha, Ha!! Yes, I would take you!! I also feel now that my mom got one….I HAVE to as well. So who knows, maybe we can take each other!! Thanks for reading & commenting!